Let your subscribers tell you what they want. Does it seem like your email campaigns are a shot in the dark? Each and every subscriber on your list feels overwhelmed by the amount of email they receive. That’s why it’s worth putting yourself in their shoes and imagining what it’s like when they check their email for the first time every day. As new messages flood in, a sea of senders and subject lines clamor for their attention, each message insidiously implying that it is the most important. Mixed in with the truly important messages are fakers and impostors who feign urgency. If opened, these messages are exposed to be self-serving drivel promoted by some clever marketer somewhere far, far away. Yes, that may be harsh. But remember, we are looking at their inbox through your subscriber’s eyes right now… All is fair in love, war and inbox management. After all, your response rate depends on how well you understand your subscriber’s perspective. What happens next to your subscriber’s inbox isn’t pretty. Especially when you consider all the time and effort you put into your email promotions. In a fit of ruthlessness akin to the Red Wedding in Game of Thrones, your subscriber wantonly massacres as many of the offending emails as possible. The carnage is real. Few will be opened and most will either be deleted or ignored. The response hopes and dreams of countless emails vanish into the trash folder, a stark lesson to those who foolishly toyed with their subscriber’s benevolence by sending unwanted and irrelevant messages. Of course, if you get a lousy ROI from your email campaigns, that puts you in a perhaps a different but equally frightening scenario which threatens to turn your balance sheet into a financial bloodbath. How can you give your emails a prayer of surviving the merciless battle of the Inbox? In a nutshell: Avoid sending self-centered emails and instead offer your subscriber exactly what they tell you they want. Let’s break that general strategy down into practical terms using a few deceptively powerful clichés. When it comes to interpreting what your subscriber wants, action speak far louder than words. And when it comes to relevance and engagement, there is no better time than the present. What that means is that there are moments when you have your subscriber’s attention and it is in that instance that you want to respond. Because that is when you know what your subscriber is interested in due to the context of action. In other words, interest and timing intersect. For example, at the simplest level you have automatic messages that are triggered by a subscriber opting in to your list. At that time you have made some kind of offer of value in exchange for an email address and the promise of mutual benefit at the beginning of your relationship. Therefore, the first impression you make with your ‘Welcome’ message is of paramount importance. Your subscriber has shown you they are at least somewhat interested in your opt in offer and that is your chance to give them what you promised. In that moment you have their attention and you can either reward them for giving you a chance or you can fail to deliver and incur the wrath of a subscriber scorned. The takeaway is that you can set up many different opportunities like this for your subscriber to demonstrate what they want and give your emails a waiting audience awaiting instant gratification. This approach is fundamentally different from sending out a broadcast into the digital void armed only with the hope that it arrives at a good time with the right message. If you think about it, a broadcast email is big gamble because you are counting on getting your subscriber’s attention and then hoping that they are interested at that time in what you have to offer. That’s betting your business on pretty thin odds. The unfortunate reality is that your subscriber could be interested and want what you have to offer, but if the timing is wrong they may procrastinate and then forget entirely. The fact that they ‘meant to buy’ is cold comfort if your campaign bombs. There’s nothing wrong with having broadcast email campaigns be part of your overall arsenal, but why not stack the odds in your favor as much as possible? Let your subscribers tell you what they want. Here are 7 strategies that leverage automated funnels that are triggered by subscriber actions. 1) Welcome Message: As already mentioned, your first email is a perfect opportunity to start a chain reaction. While you have your new subscriber’s attention, deliver what you promised. Within that deliverable, build in an opportunity for them to take another action. Give them more of what they just told you they want. If what you offer is relevant, they’ll take the next step and continue to pursue next steps as long as they remain interested. To be clear, don’t overwhelm them with choices; just offer them the next relevant option to pursue like a trail of crumbs. You may find that they are willing to escalate from being a free subscriber to becoming a paying customer. Don’t be afraid to make an offer as long as you’ve delivered whatever they initially subscribed to receive. 2) Thank You Message: It’s amazing how many companies fail to do anything more with a new customer than send them a sterile (and forgettable) email receipt. When a subscriber becomes a customer that is an opportunity to solidify and deepen the relationship because it is an escalation of trust. From your new customer’s perspective, a purchase is also fraught with hopes and concerns. They’re hoping they’ll be happy with their purchase and at the same time they may be experiencing at least some buyer’s remorse and fear that they’ve made a bad decision. A well written welcome message congratulates your new customer by validating their decision, rewarding their trust with reassurance, and possibly by offering unexpected additional benefits as well. When someone is in a buying mood, they may appreciate being told about upsells or cross sells offers that truly add value to what they already bought. Done in that spirit, you can help them buy more of what you have to offer at the perfect time because by their purchase they to what they want. That said, resist the temptation to create an ‘upsell Hell’ that traps bombards a new customer with unrelenting offers. Otherwise you could risk triggering that buyer’s remorse or outright aggravate a new customer. 3) Consumption emails: It’s a cliché that marketers focus the majority of their attention on the acquisition of new customers and tend to neglect the opportunity to follow up effectively with existing customers. That’s a bigger topic than we can cover here, but one way marketers drop the ball not only misses an opportunity to increase customer retention, but also opportunities to make relevant upsells and cross sells. It’s also a cliché that customers buy things and then set them aside and forget to comeback to actually use what they bought or opted in for. A simple follow up consumption email series can help by showing each new subscriber or customer how to consume what they got from you. And it will help them remember to actually do so. This can benefit your bottom line by reducing refunds and by making a deeper impression on a new subscriber so they more readily open your emails and engage with you. And, as with the previous strategies of ‘Welcome’ and ‘Thank you’ emails, a Consumption email series can provide you with the context and opportunity to mention other relevant products and services you may have (this includes affiliate offers). 4) Requested Notifications: There are situations where you can have people tell you that they want to be contacted when certain conditions arise. For example, if you have a new product launching soon or if you run out of inventory, you may provide an opportunity to get on a waiting list. You could offer a Priority Notification list for those who are super eager to hear about what you have to offer when it becomes available. While these are not the same as an automatic message because presumably you won’t have an instant availability in these situations. But if you identify your follow up email with a reference to the Wait List or Notification List in the subject line, you can remind your presumably interested subscriber of the context of your message. Since they told you they wanted to be contacted, it stands to reason they’ll be receptive within a reasonable timeframe. 5) Surveys: When you get someone to participate in an online survey you have an opportunity to immediately sort them by their responses into categories by interest. For example, if you ask whether they like, say, gluten free recipes or vegan recipes, it makes sense to follow up with them accordingly. You can build an entire funnel around a survey and you have the benefit of knowing what they prefer because they told you. To maximize the response, build the funnel in to the completion of the survey and don’t rely purely on an email follow up sequence. After all, the just took the survey so any offer or opt in you have for them will be most relevant right then and there. You don’t have to hard sell them either. You could say, “based on your survey results, you may be interested in X,Y, Z.” If they were truthful in their survey responses, there is a good chance they will appreciate the offer. 6) Cart Abandon: If you make an opt in with name and email address the first step in your purchasing process, before they get to the page where they enter in their payment information, then you can follow up with them if they leave prior to completing the purchasing process or abandon their shopping cart. There are a variety of reasons why people fail to complete a purchase and not all of them mean they are no longer interested. They might not have had their wallet handy. Or they might have been interrupted. Or maybe they just wanted to think about the purchase a little more. 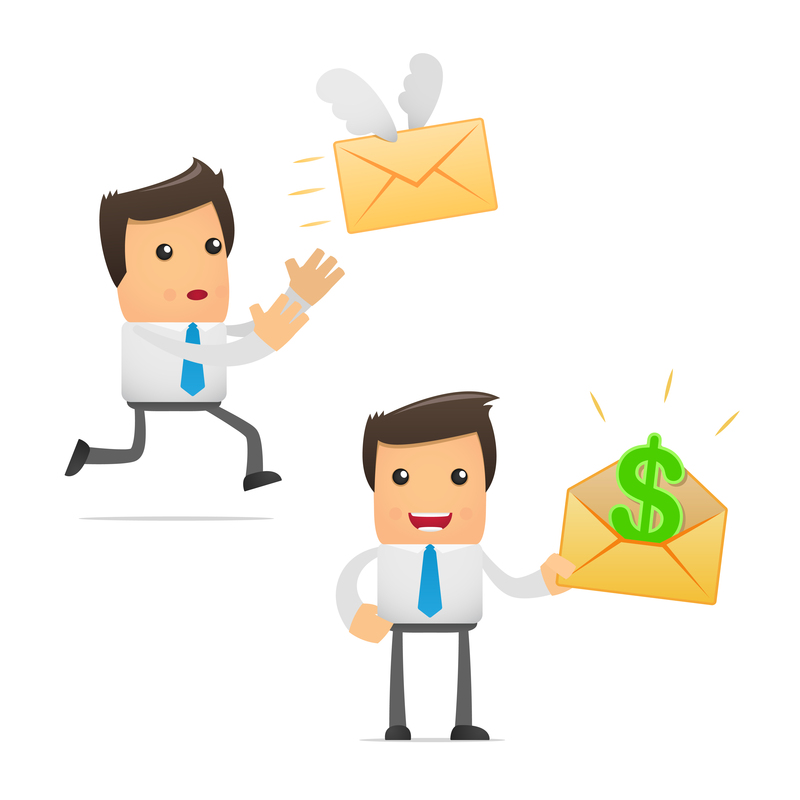 A simple email that goes out to ask them why can recapture some lost sales. You could assume the sale and offer to help them complete the process in case there were any technical difficulties. Or you could simply ask them if you should hold their order for them or release it to someone else. Or you could just say you noticed they didn’t buy and you’d appreciate it if they’d do you a favor and take a quick survey. At the end of the survey, you could make an offer depending upon what their reason was. If they said price was the reason, you could offer them a discount or payment terms. If they said they were unsure of whether the product would work for them, you could offer them a limited trial. Of course, a cart abandon email is not an invitation to bombard them with further emails. After all, they may genuinely have decided against buying at all. But a single email 24 hours after they abandon the cart could be a good way to capture lost sales. 7) Birthday Special: If you collect birthday information then you can make a sweet offer in honor of their special day. It’s a simple gesture and many people feel like indulging themselves on their birthday. If you tell them when you are collecting their birthday that you’ll send them something special on that day, they’ll be glad to receive whatever gift you offer and you may want to build a sale or special offer as part of the promotion, too. As with the Wait List strategy, this email may arrive quite a long time after they give you their birthday information, however, because you set the expectation that you’d be sending them something and they entered their information, they are telling you that they want to receive the message. Other people may forget their birthday but they won’t, and if you remember, too, you can stand out in their crowded inbox quite nicely. For more information on how to use email marketing to crush your competition, click here http://www.emaildelivered.com/let-your-subscribers-tell-you-what-they-want/ . Remember to sign up for the FREE Email Delivered Pulse newsletter for articles, tips, and recommended resources for email marketers.